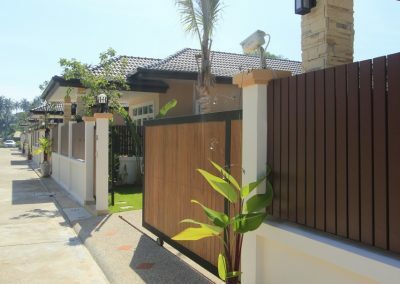 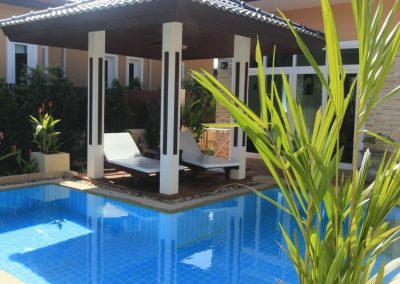 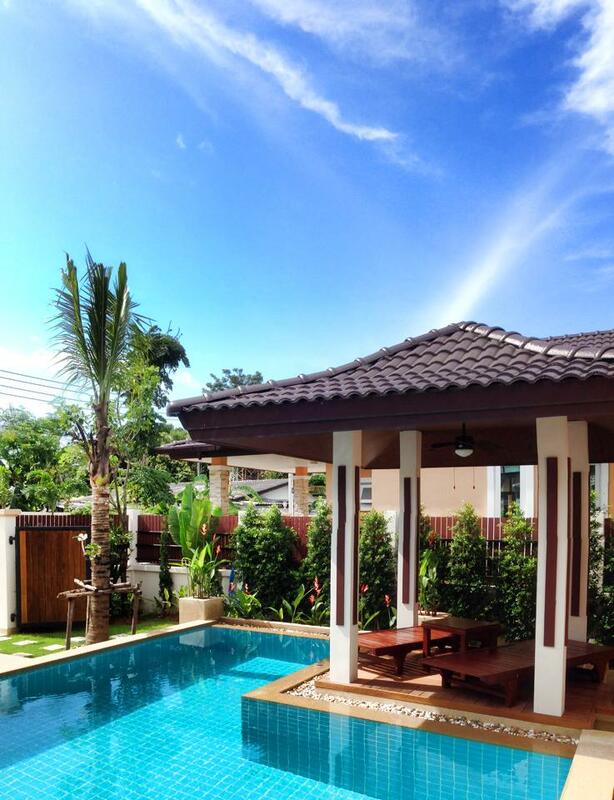 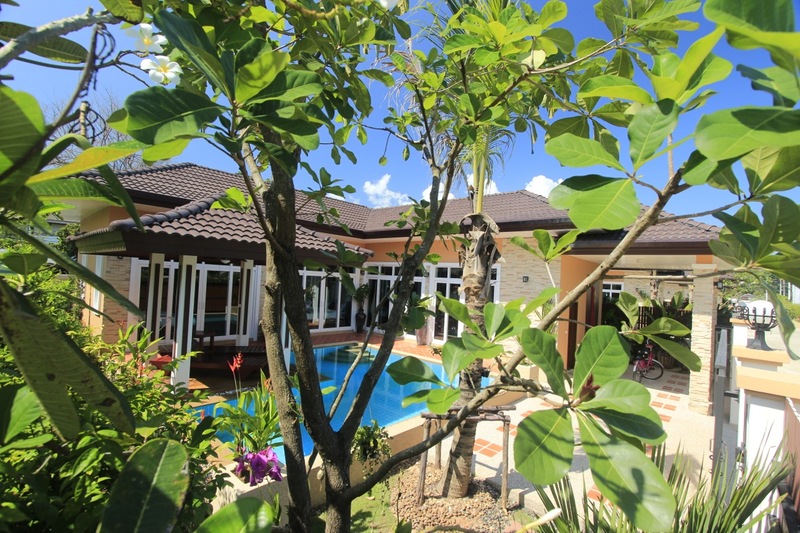 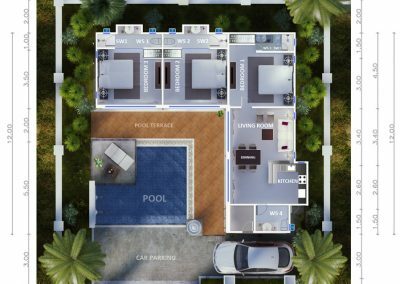 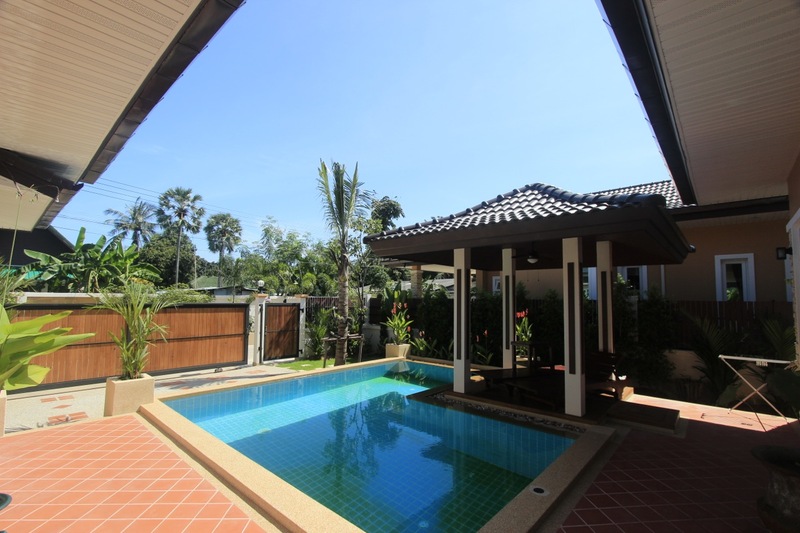 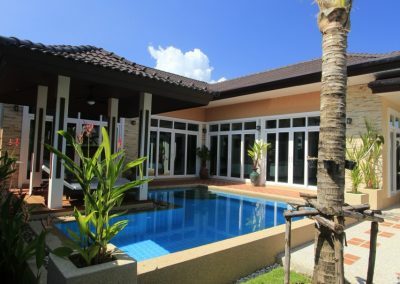 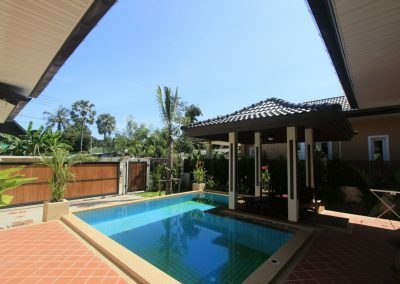 8 single-storey houses with three bedrooms, a living room with kitchen area, a terrace around the swimming pool, a shed (thai sala), small garden and a parking space. 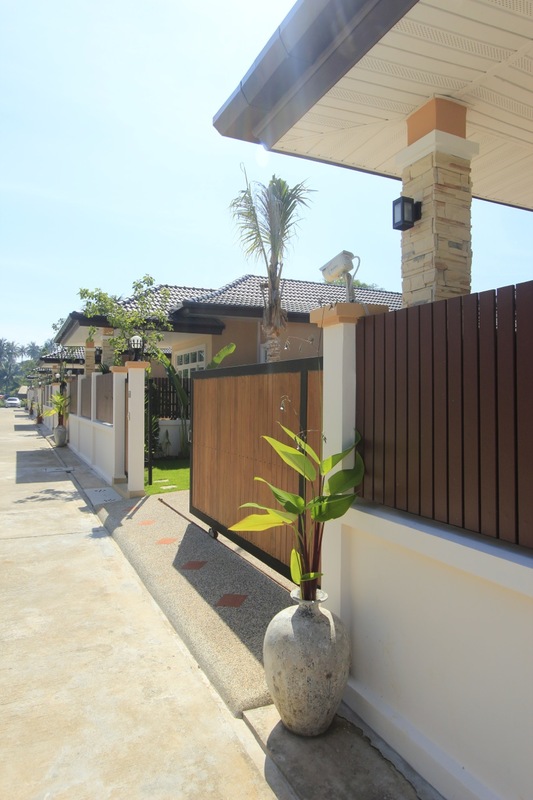 Rawai Private Villas project is located in Rawai district, 500 meters away from the coastline. The complex of 8 villas form a small street, overlapped at one end. 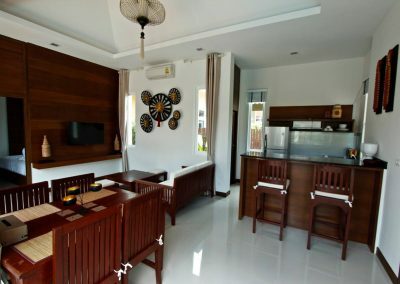 There is a café in this project serving breakfast to the customers. 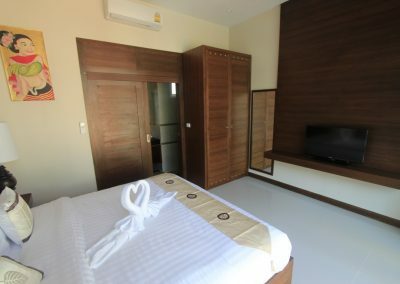 There are also many restaurants with a sea view, cafes, convenience stores, 7-eleven and Tesco Express on the coastline. 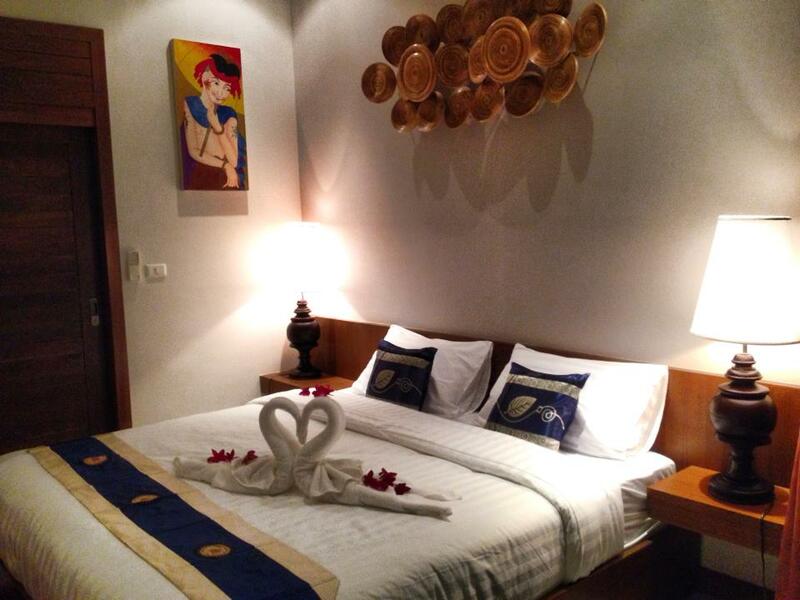 Rawai Bay is used as a harbor for boats and yachts. 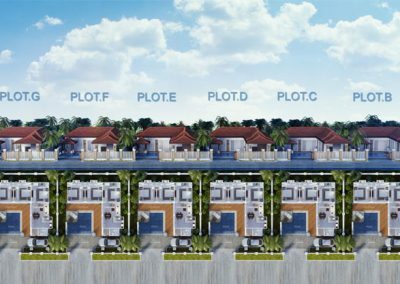 There is a pier from which you can go on a trip to the neighboring islands only 1km away from the villas. 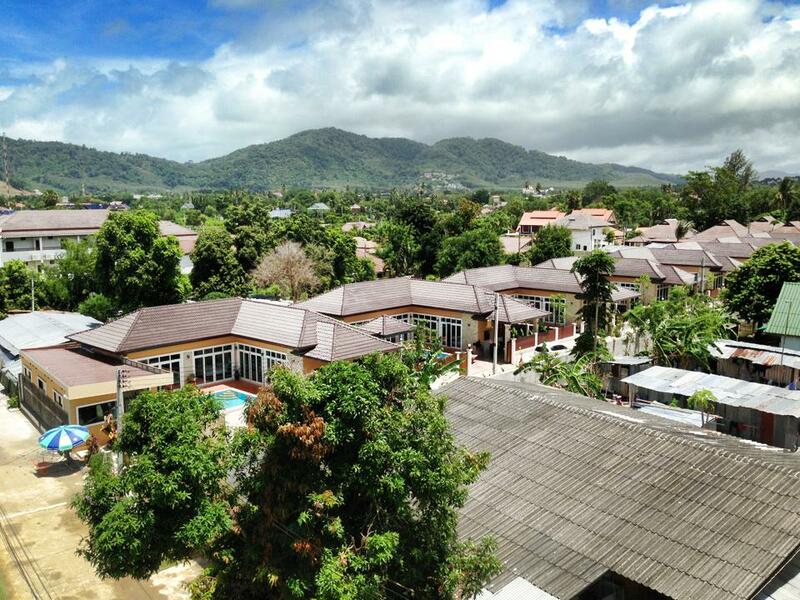 There is also a seafood market, souvenir shops, shops of pearls. 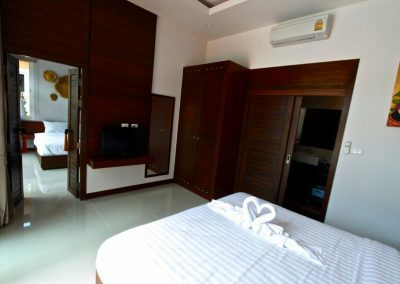 Several clubs and bars operate in the evening. 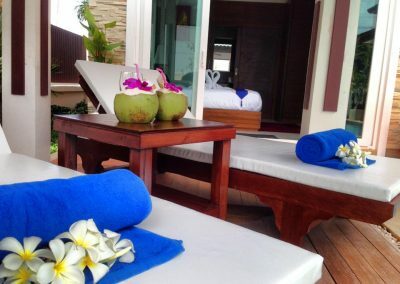 Rawai Beach is the most southern point of Phuket. 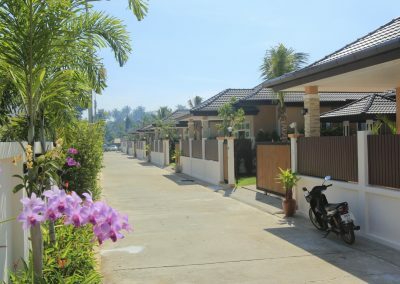 The distance to the airport is 45 km, which can be reached in up to 1 hour. 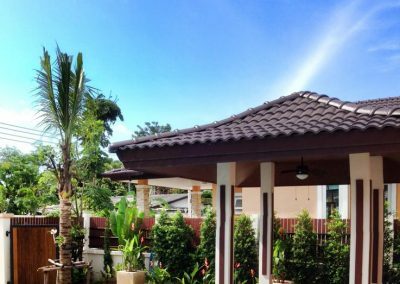 Chalong Circle is 10 minutes away, there are supermarkets Tesco Lotus, Villa Market and the shopping center Home Pro, Makro Food Service. 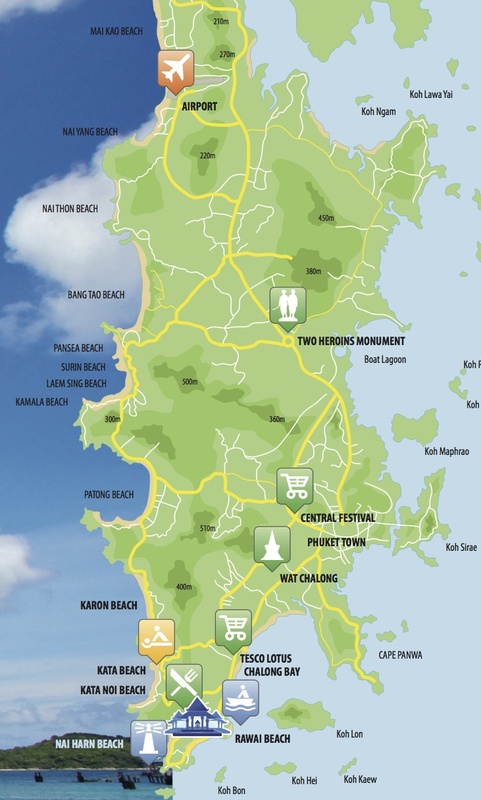 Naiharn beach is reachable within 10 minutes. 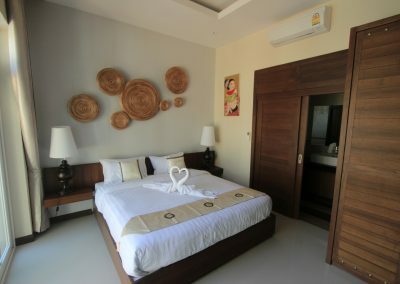 At the same distance there is Yanuy beach, one of the coziest beaches of the island. 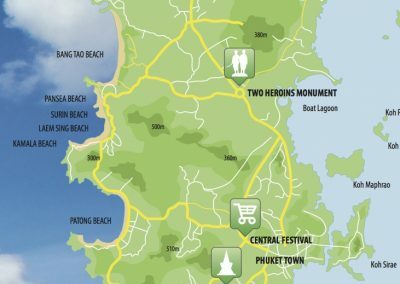 5km away from the village is Promtep Cape – one of the most visited viewpoint in Phuket, where every day hundreds of tourists watch the sunset. Next to the observation deck there are restaurants, cafes and a souvenir market. 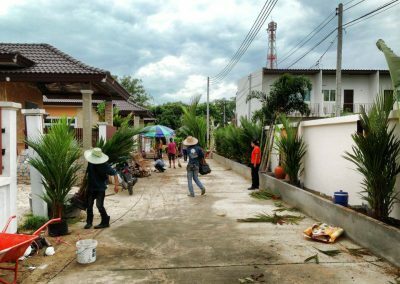 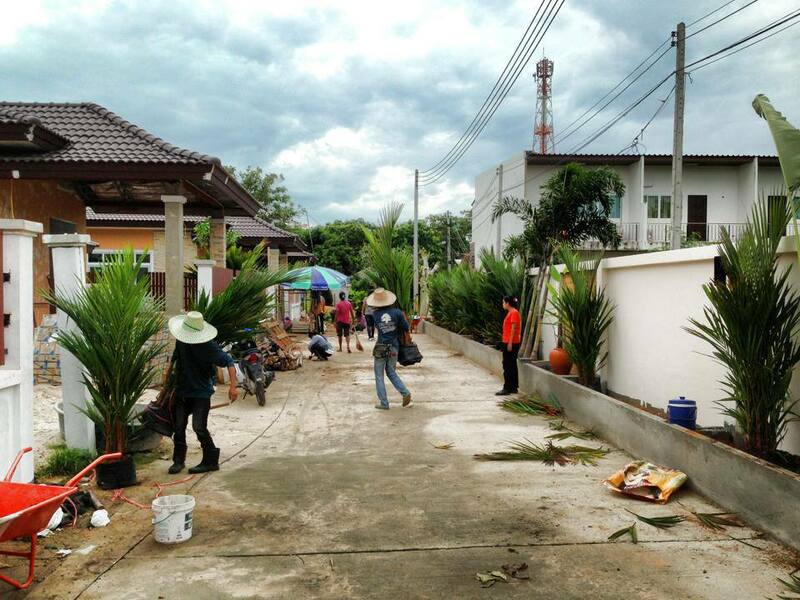 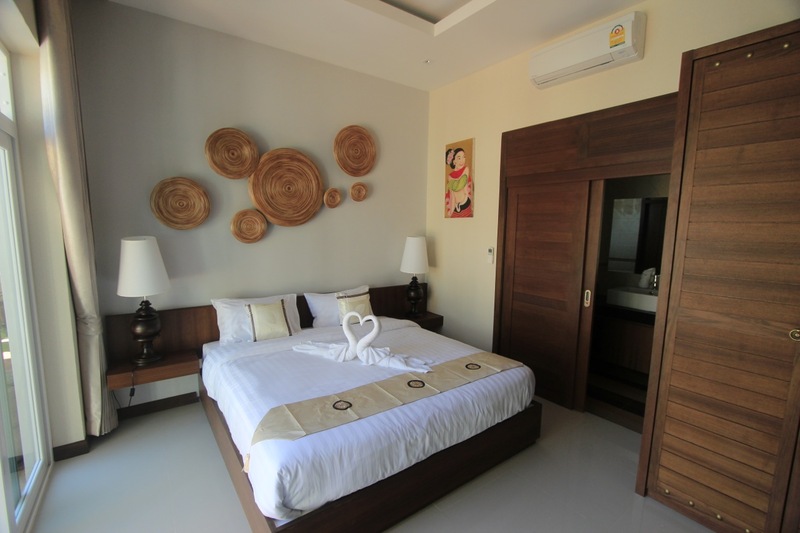 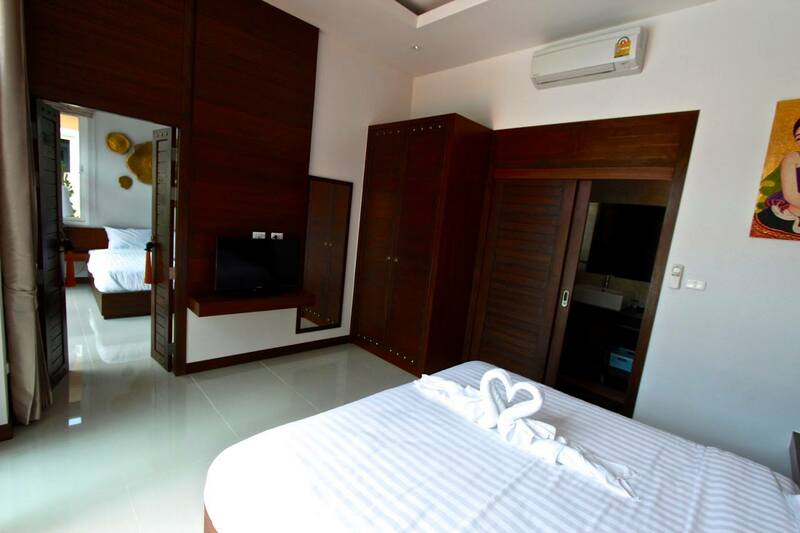 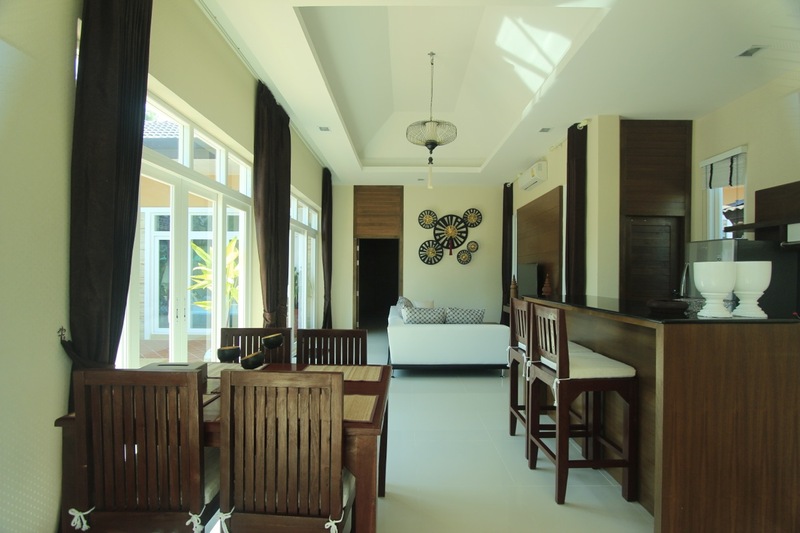 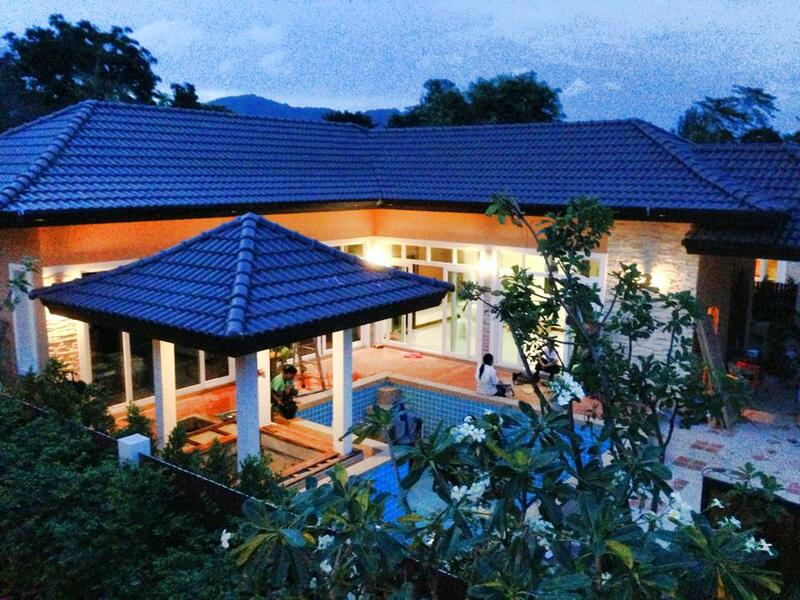 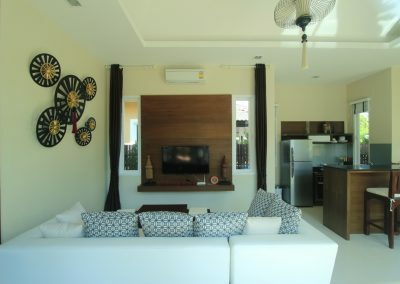 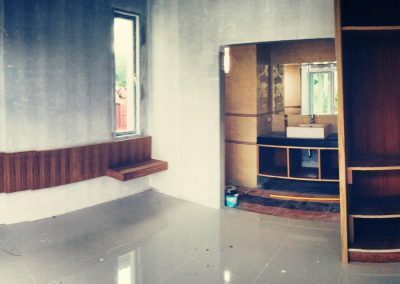 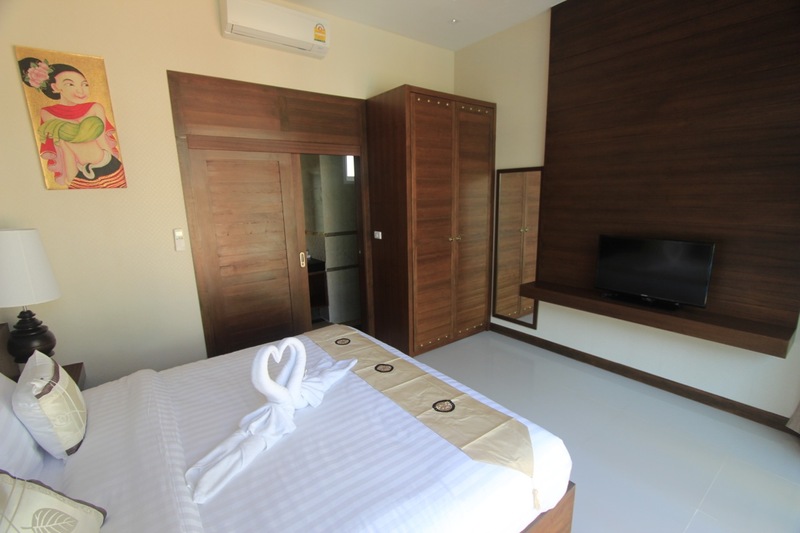 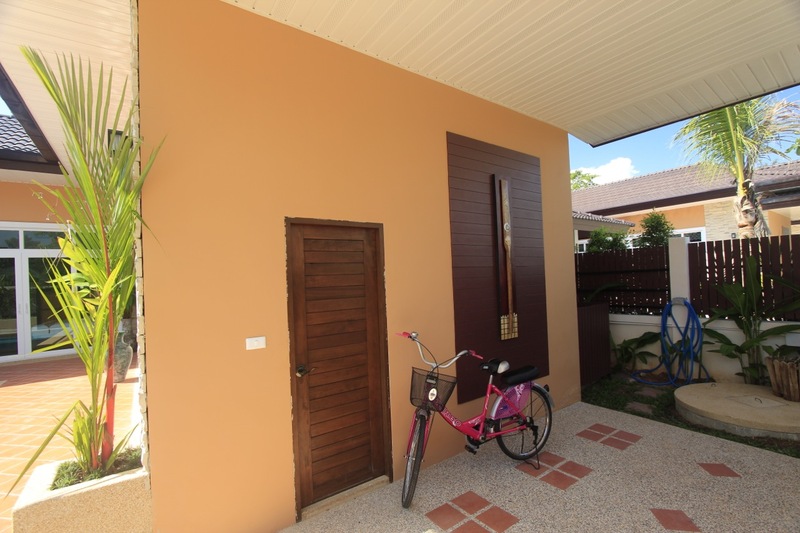 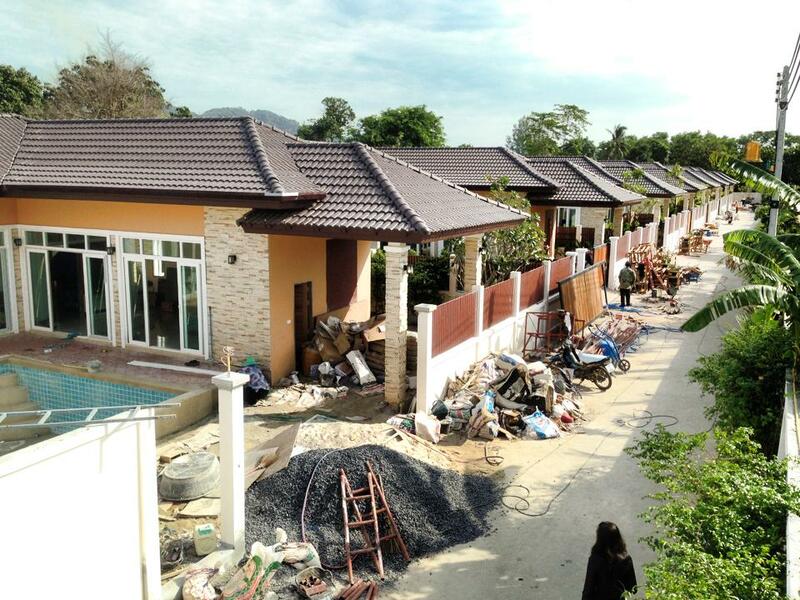 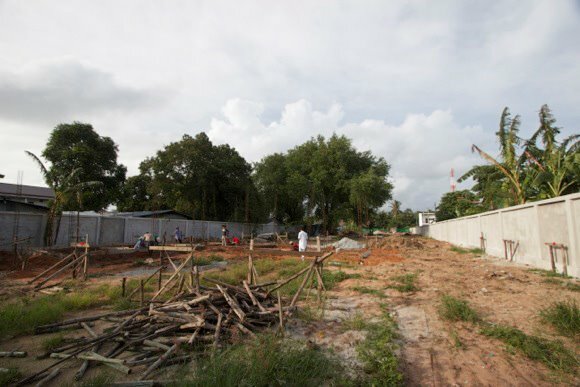 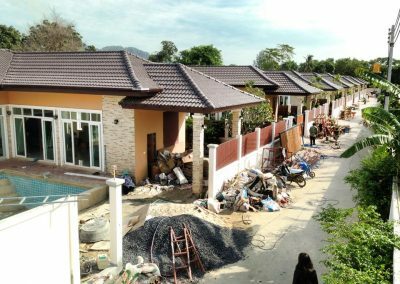 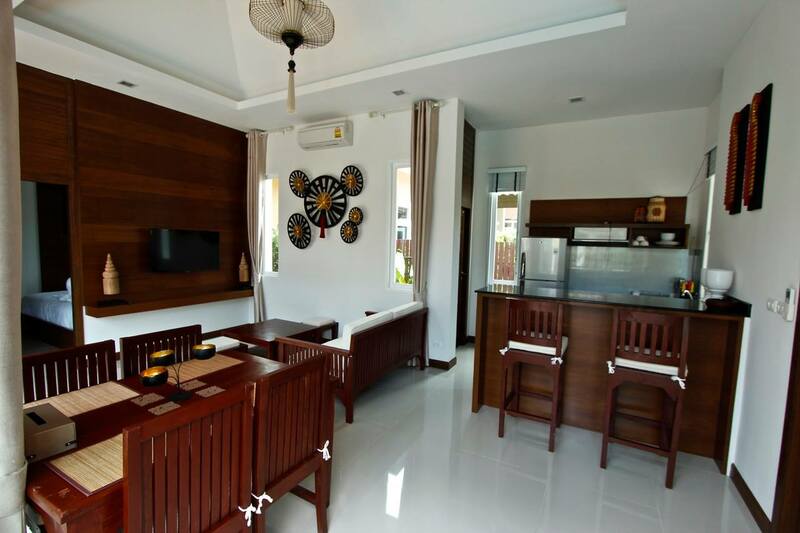 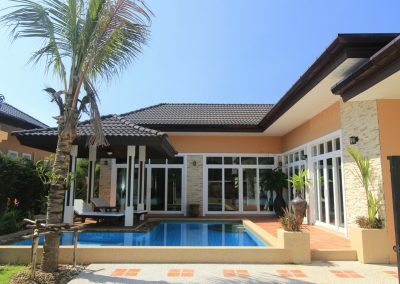 The construction of Rawai Private Villas was completed in August 2013. 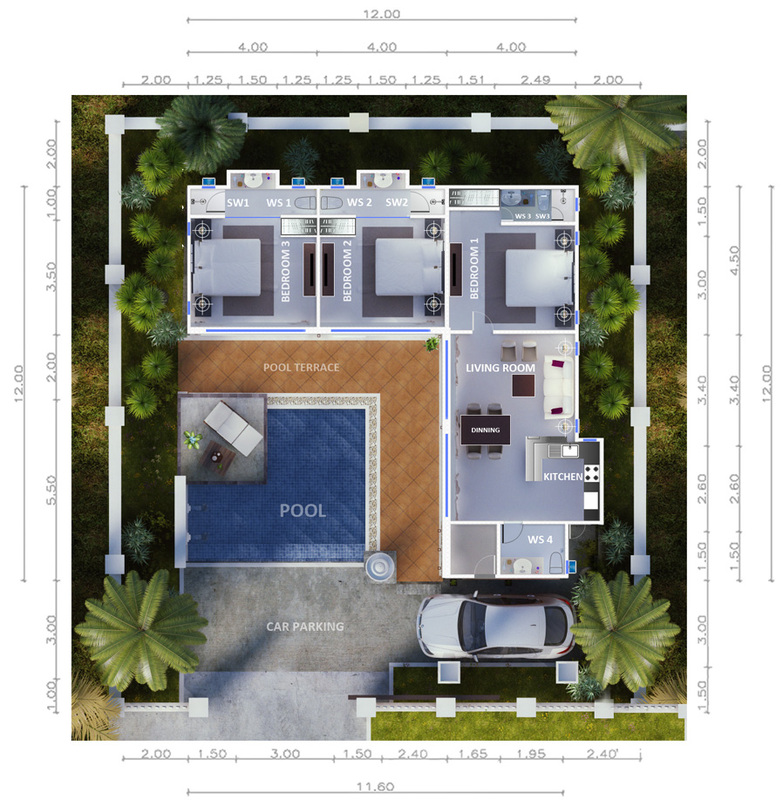 The building process can be tracked on this page. 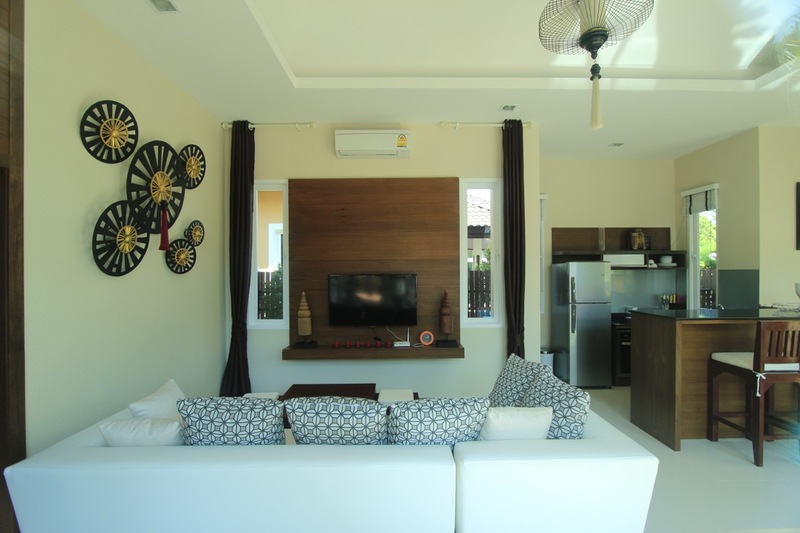 Houses are fully equipped to delivery and rent – all communications are connected, houses are furnished, decorated, all the necessary appliances and accessories. 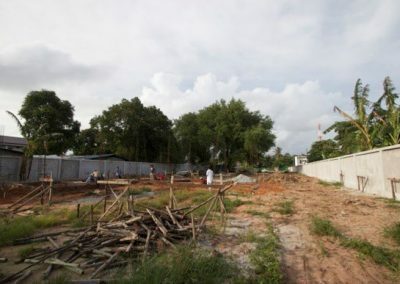 The project was sold to the investor as a resort. 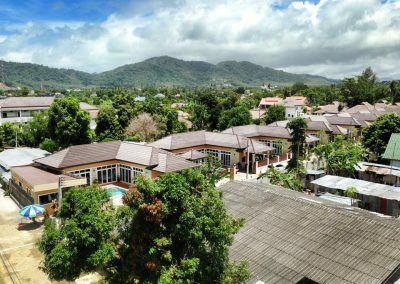 Phuket9 company has signed the agreement that provides the buyer the guarantee of return on investment and co-production of rental income. 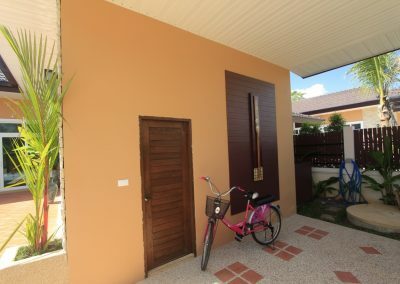 House rental is available on the project’s web site. 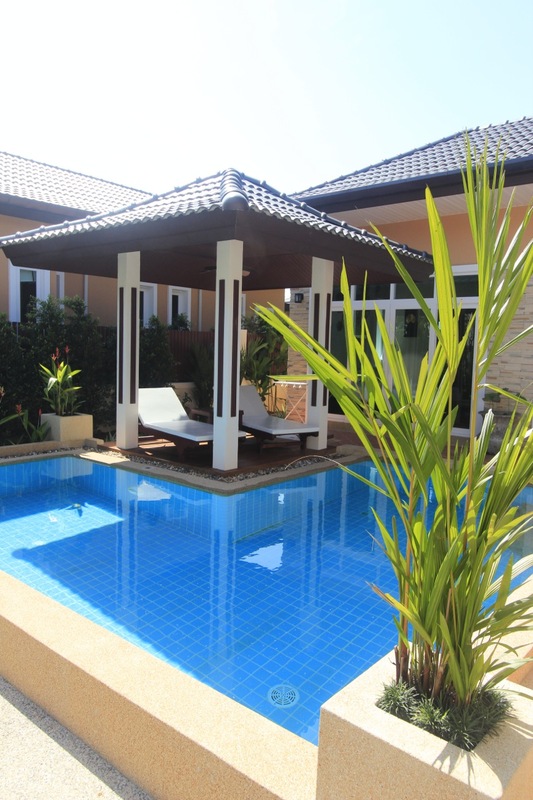 You can also contact our rental managers for more information on availability and prices. 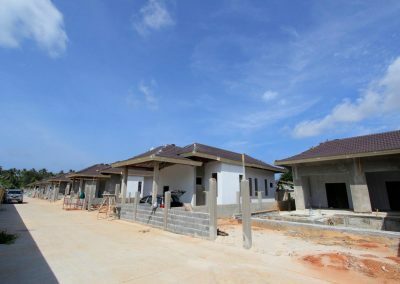 Rawai district is one of the rapidly developing areas of the island. 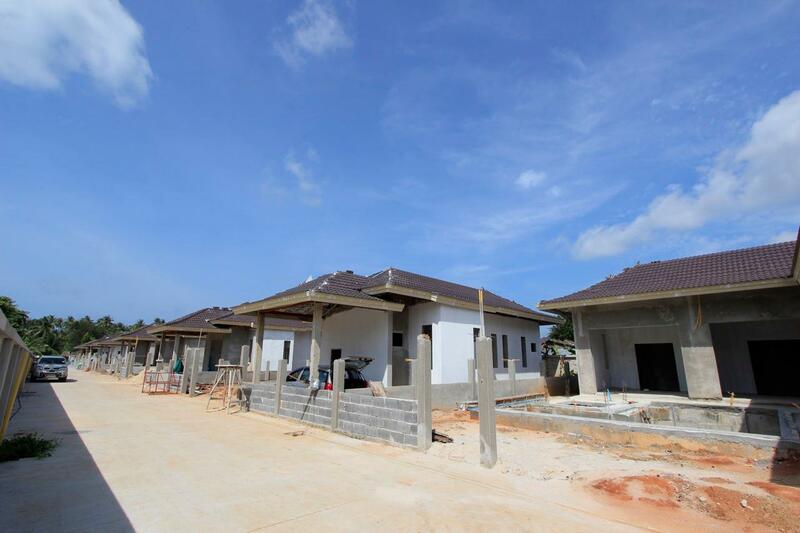 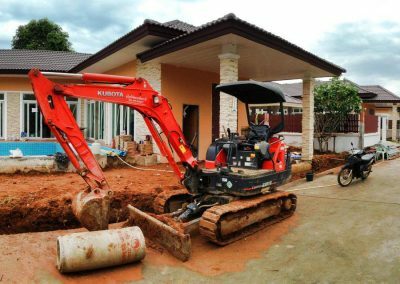 The construction of condominiums and housing estates is highly active. 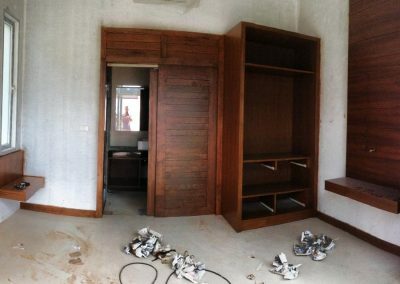 Grocery hypermarket Macro has appeared in the end of 2013. 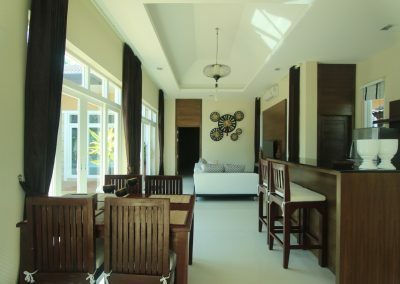 On the coastline there are new cafes, restaurants and nightclubs. 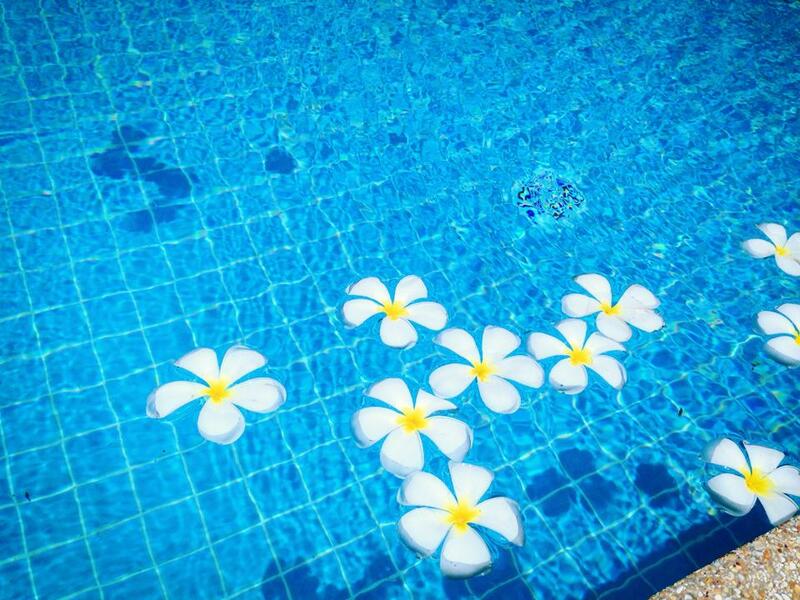 Learn more about Rawai. 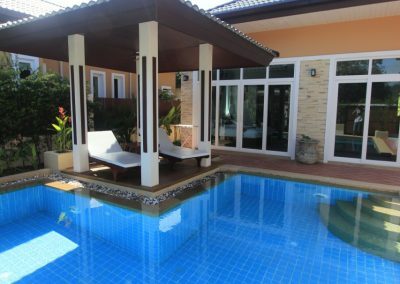 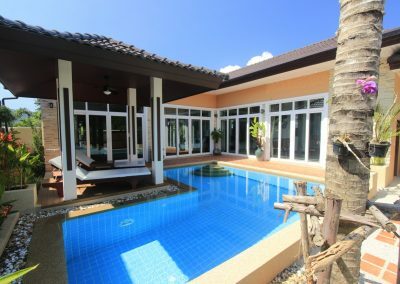 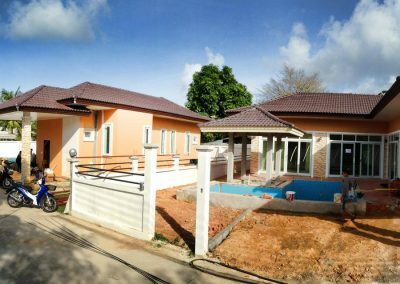 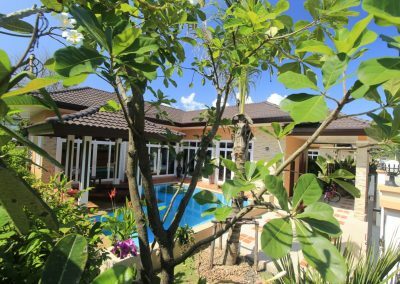 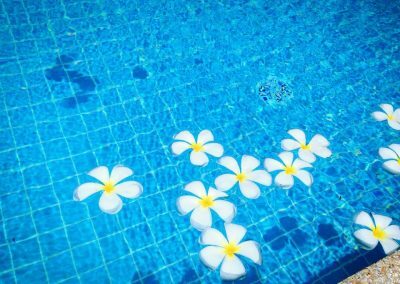 New resort for sale – Rawai Vip Villas – perfect location, rental guarantee program.